CCU cracked up once again while watching Big Fat Greek Wedding. The popcorn was flying around as she clutched her stomach and she tipped over her drink in a rush to grab the remote and rewind to the scene where Aunt Voula thinks lamb is not meat! But this is from an Australian perspective, maybe globally, Greek food is better well known, but here in Sydney, Greek restaurants are not that common, especially in comparison to Chinese, Thai or Italian restaurants. But I found one and it was awesome! Class. This place had class. 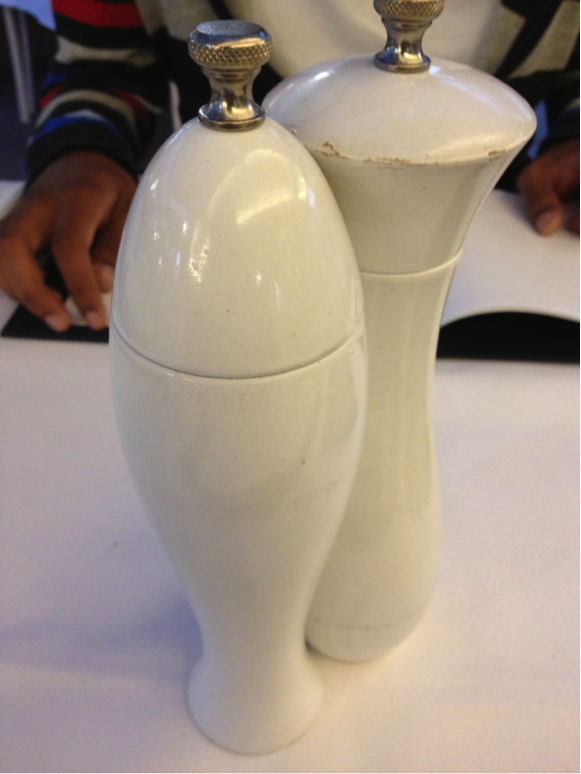 And my brother and I felt so classy… until when I got up and bumpedthetablesothesaltnpeppershakersfellandcausedacomotion… don’t judge me, I am only 17! This place had a dress code (no singlets) so, when you compare it to Nandos sitting opposite it, we felt like we were in a whole other realm. Haha, personally, I was this close to wearing thongs and thank god I did not! Anyway, they were not that full on our arrival so we had immediate assistance and waiters who were at their optimum in professionalism and friendliness. It was such a change from the usual rush! 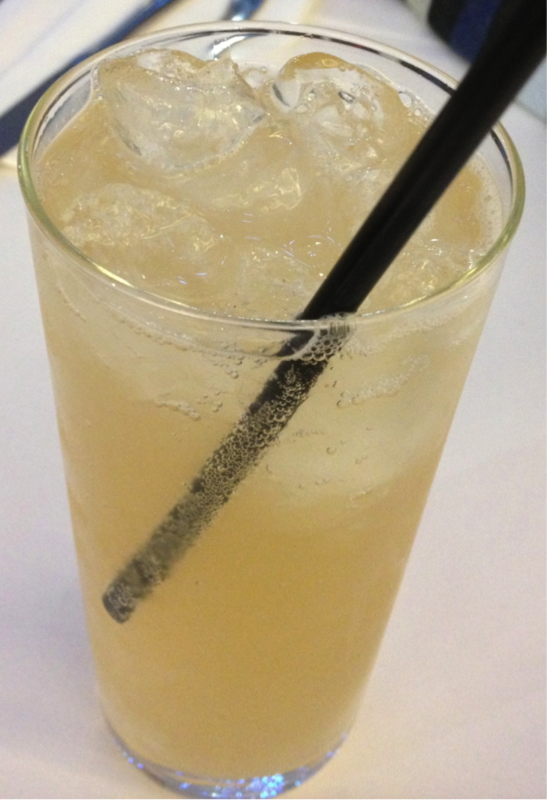 So I eventually mumbled ‘tap please’ by the end of the miscommunication but truly, felt out of my depth! How about we move on to the haloumi cheese now. These days, cheese and I are not really seeing eye to eye. After eating this, we are the best of buds again! It felt like there was a coating of cheese covering soft cheese. 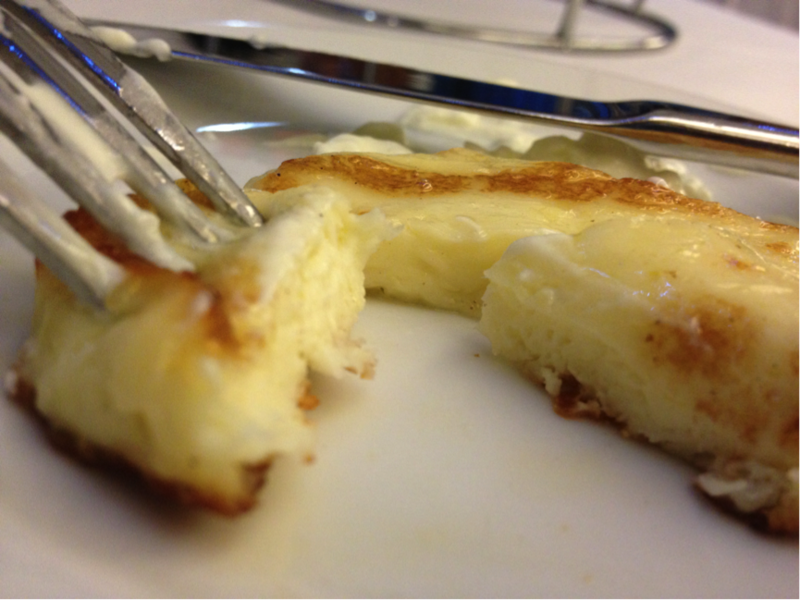 And the grilled taste was delicious, so smooth and well, cheesy! Big thumbs up! The olives and the fish dip (because come on, that name is so long!) were delicious as well according to my brother. I did try the olives but honestly speaking, I am not the biggest salty olive fan but the olive oil rub they were in really gave them a kick! Now, we move on to the tzatziki and feta and bread. Put them together and you a flavour explosion going on, no joke! 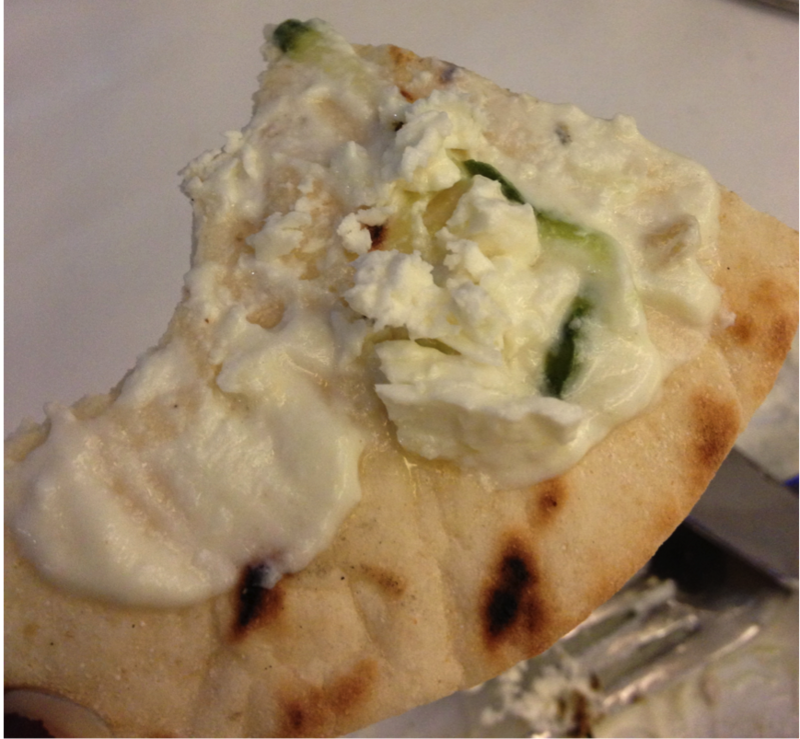 The bread was firm, the dip was fresh and that feta cheese… so delicious with its dripping oil and herbs…. 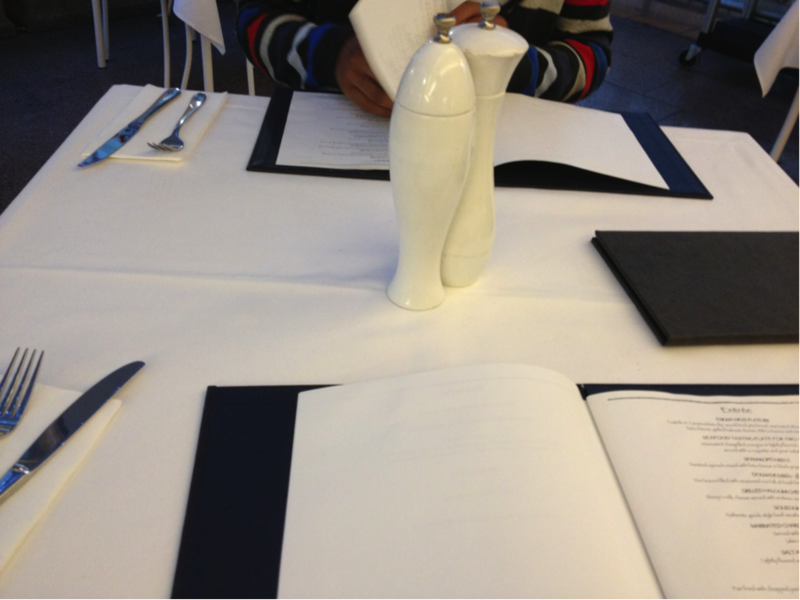 A new set of cutlery and a new napkin later…. Hands up if you like lamb? 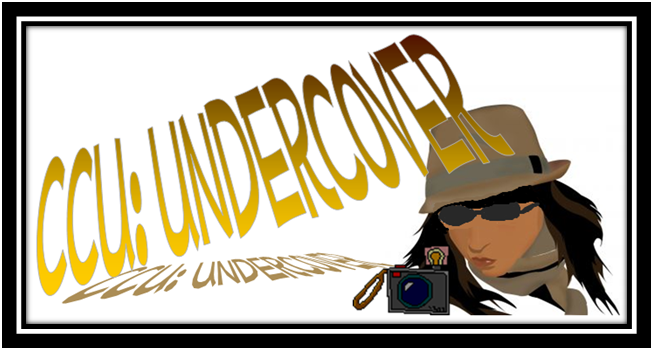 Oh, wow what a spread (this is a virtual image by the way but I am sure many of you do!) Well… if you ever visit Australia/are in Australia, do come visit this place for their Wood Fired Slow Roasted Lamb – Served with baked crispy potatoes and seasonal oven baked vegetables with Tzatziki dip as a side ($39). 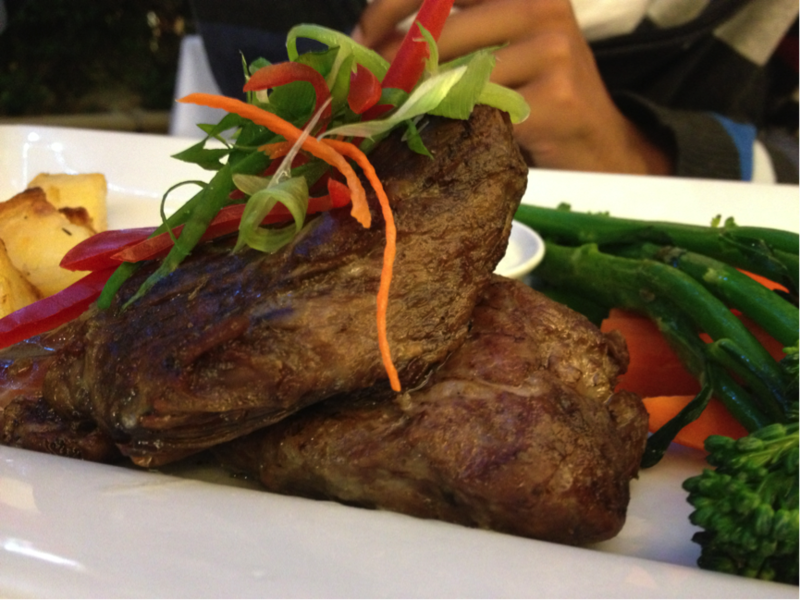 The lamb was tender and the perfect pink, cooked to perfection and flavoured beautifully. The potatoes (for which I can attest too) were crunchy golden delicious and the vegetables had been sautéed. Perfect side. I had originally planned to get the Yemista (Tomatoes and capsicum stuffed with rice, fresh herbs and Spanish onions) but can you believe they ran out during the lunch rush? I will be back, if only to try this dish! 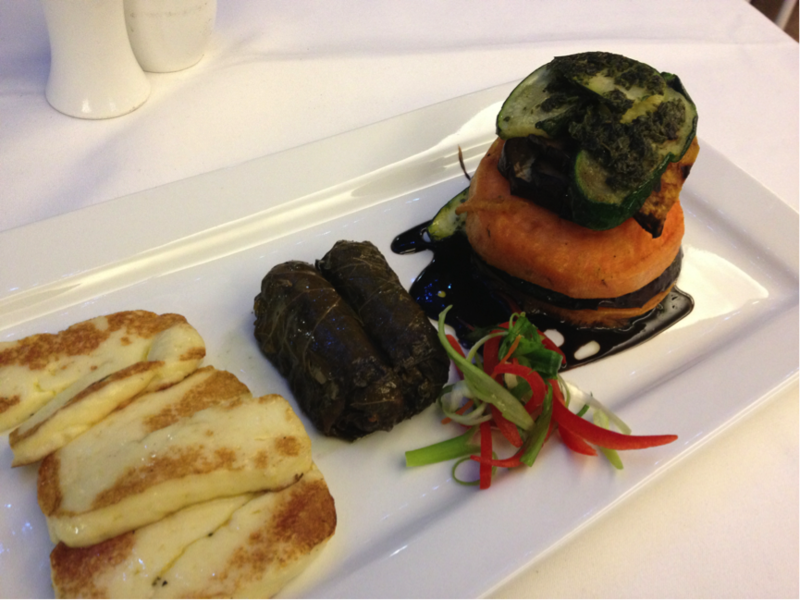 But they accommodated beautifully for my vegetarianism by providing a Roasted Vegetable Stack (drizzled in balsamic vinegar sauce) – Served with grilled haloumi cheese, dolmades and fresh shoots. I may be vegetarian but am not a huge fan of eating vegetables like this. Until now. The dolmades and haloumi cheese were of course, delicious (as described above) but these vegetables, just look at them. How could they possibly not taste good? 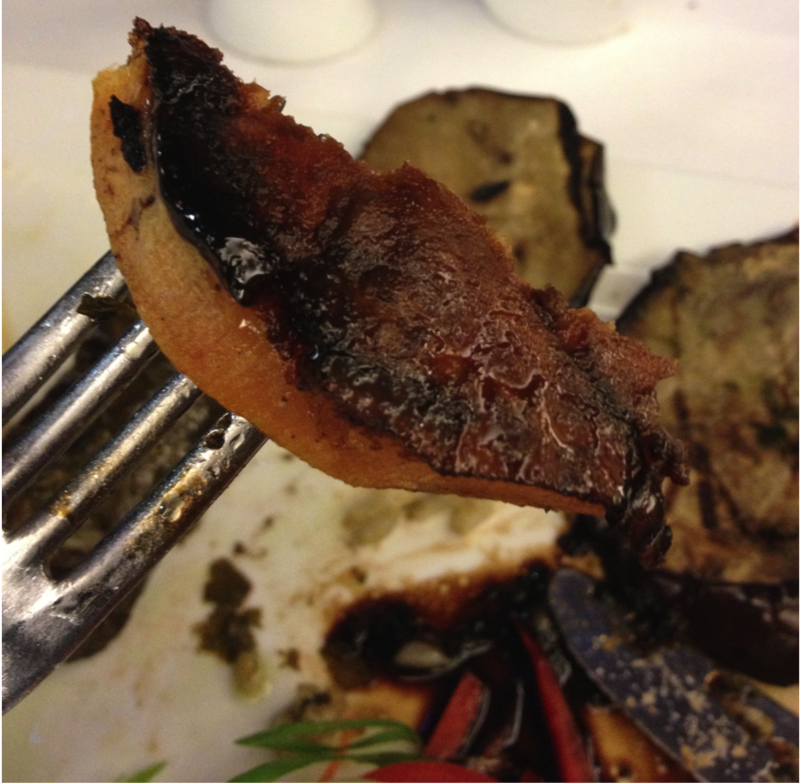 The sweetness of the sauce went very well with the perfectly roasted sweet potato, eggplant and zucchini (which I originally thought was cucumber :P). Here, we show our fabulous appetites again. Check out the desserts! And that he orders such exotic food that no one else in my family tries! Greek wedding sounds fab! I’d love to have that too, if I’ve to hold another wedding again. Oops! Hahaha! Wow, that all looks good enough for me to get on a plane & fly there right now! Big Fat Greek Wedding is still one of my all time favorite movies, I laugh now thinking of it. BIg Fat Greek Wedding cracks me up every time, too! What an amazing dining experience! 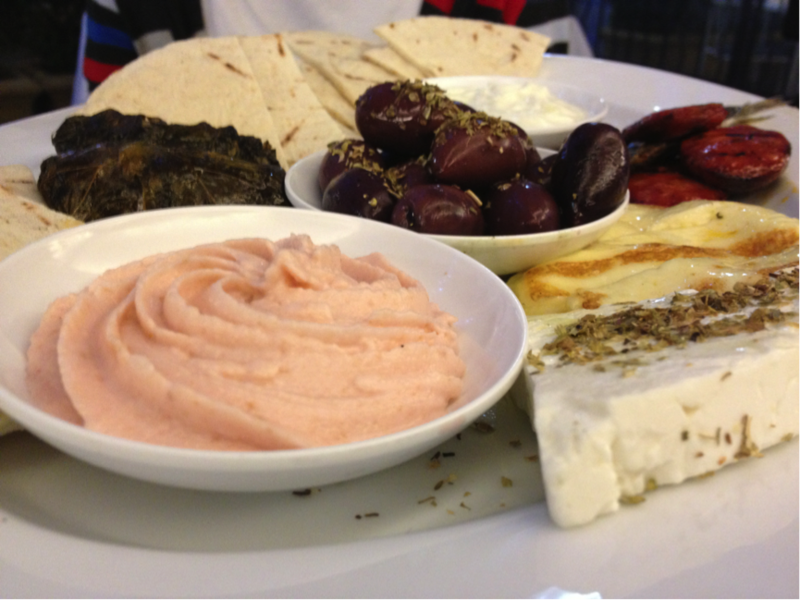 I love, love, love Greek food and could happily dive into that mezze platter and eat the whole lot by myself! Looks like a great restaurant. Wow, can’t believe you ate all that! I love stuffed grape leaves… so easy to make, too. You always have such fun eating out, CCU. Wowzers, fancy meal. Love the lamb! Thanks, Uru, now I’m hungry again! Sheer decadence! I love reading these reviews. Great job CCU, and Oh I want to eat greek tonight! I seriously want to go for dinner with you. What a feast! The restaurant should be paying you for this review! GU, you crack me up – dress code: no singlets? LOL. For Oz, that’s about right, though no fear of singlets in Melbourne at present as it’s too cold. 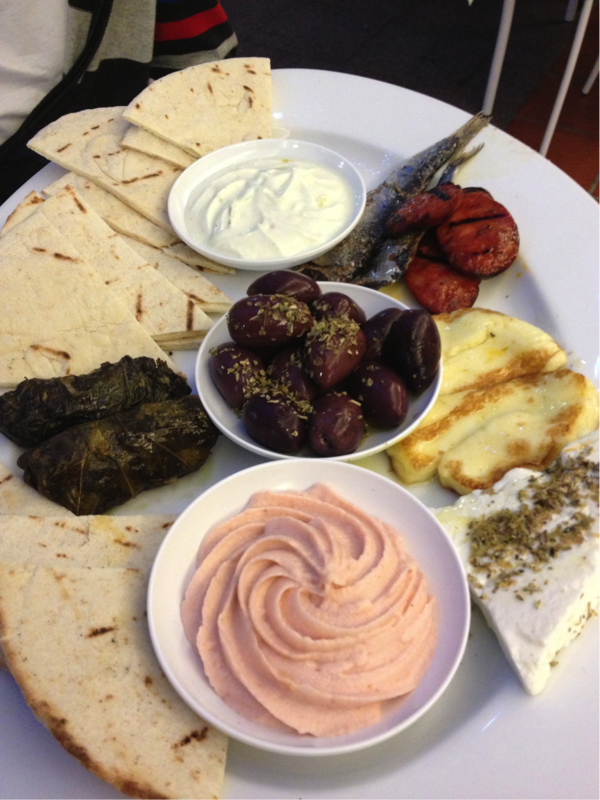 You must come to Melbourne to try Greek sometime – we have the largest population of Greeks outside of Greece! I can see why you gave this place a 9 out of 10. Everything looks absolutely delicious. I would love to visit this restaurant. 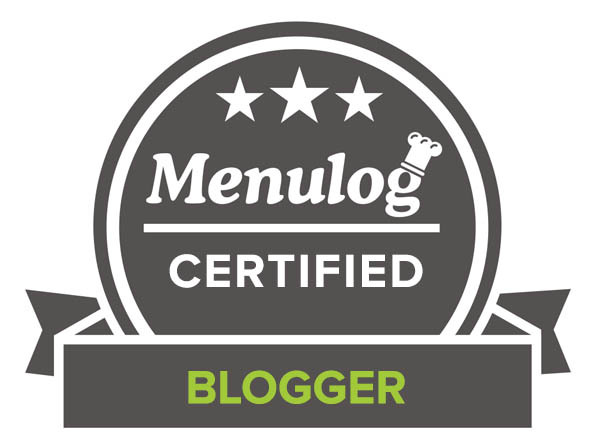 Your restaurant review has me craving some Greek food…now! 🙂 All looks divine! I love Greek food! Your veggie meal looks fabulous. 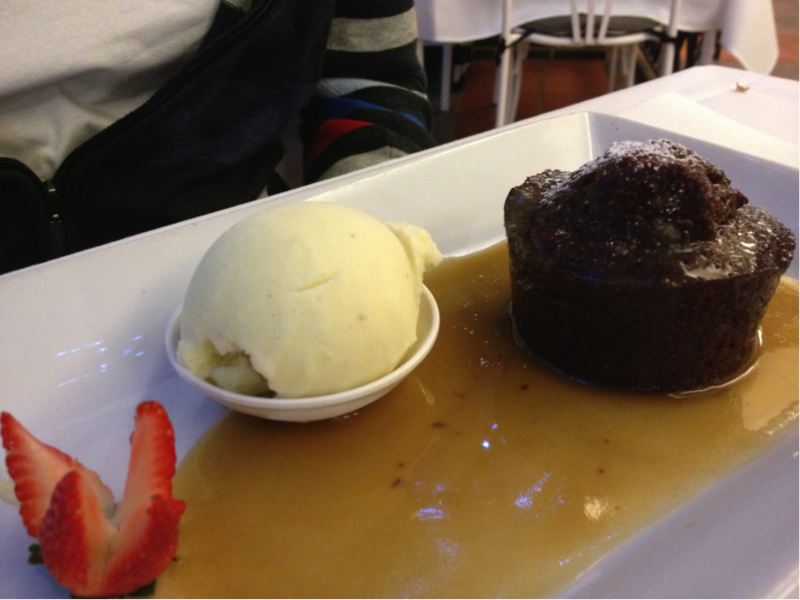 And, sticky date pudding for dessert sounds delightful. You had me at “mezze” – what a fabulous looking plate! I love the look of that appetizer plate! So many flavors! 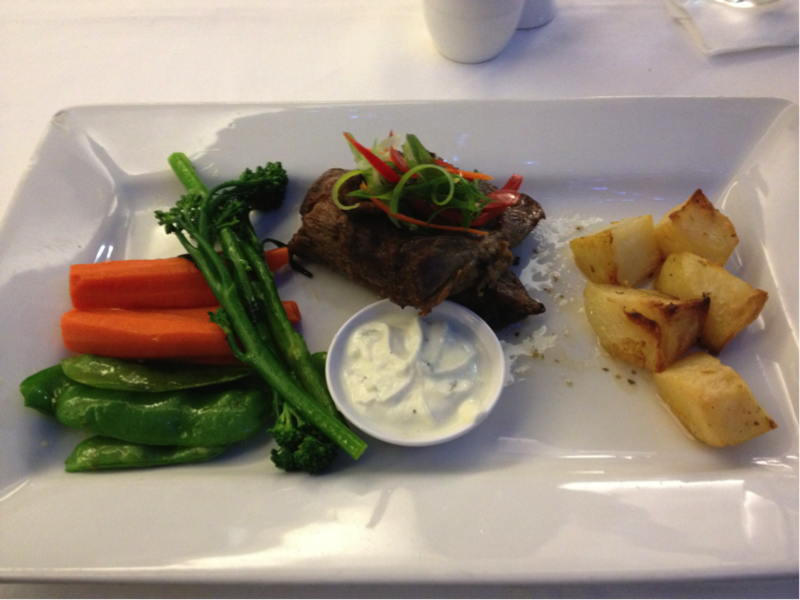 Wow – what a gorgeous Greek meal! You’ve got my mouth watering for sure! Very interesting spread of food and drinks. I would love to try out this restaurant too. That said I am not sure if we have Greek restaurants over here but now that I have seen your post, I am gonna look out for one. I’m laughing at the restaurant description of wild berries because all I can see on the dish is just a lonely strawberry. 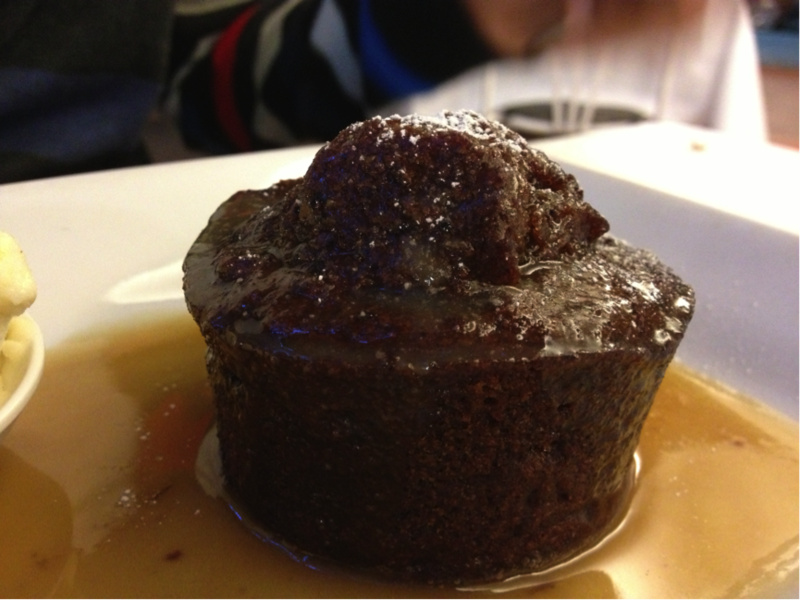 Nevertheless, the sticky date pudding looks really good! Seems like you are enjoying your holidays with lovely meals. Lucky to enjoy that meal! That plate with several choices looks so yummy! Great title! 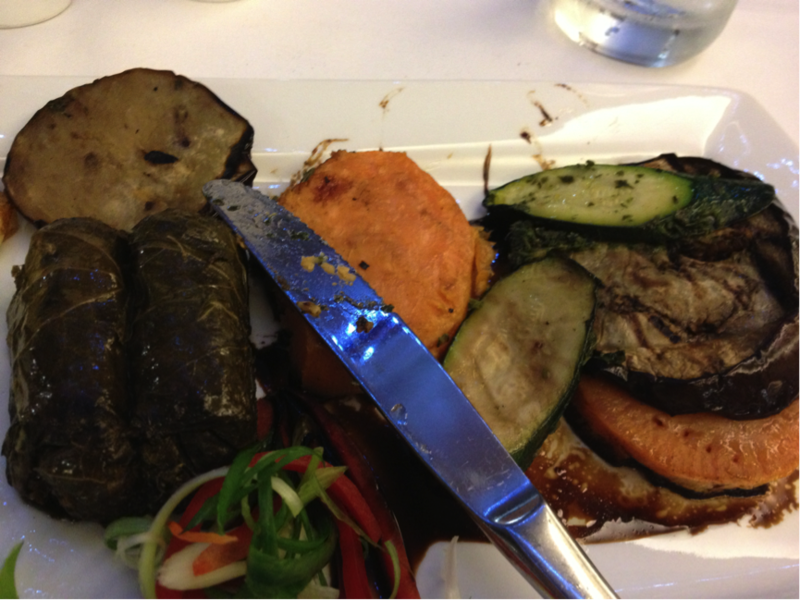 And the food looks delicious–I am a big dolmades fan–mmmmm! I just adore Middle Eastern/Greek food! Your meal looks fantastic! I actually make stuffed grape leaves and they are so good! Nice post! Great menu and I think you made wise choices. I’m not a big veggie fan but that stack sounds pretty appetizing. I might not order it as my first pick but I’d certainly have one if it was served family style. Love the lamb too. 🙂 The grilled haloumi is also very intriguing. I’ve never tried it but I’m going to see if I can pick some up the next time I go to the city market. As to desserts, I’m surprised they didn’t have any Greek desserts on offer. 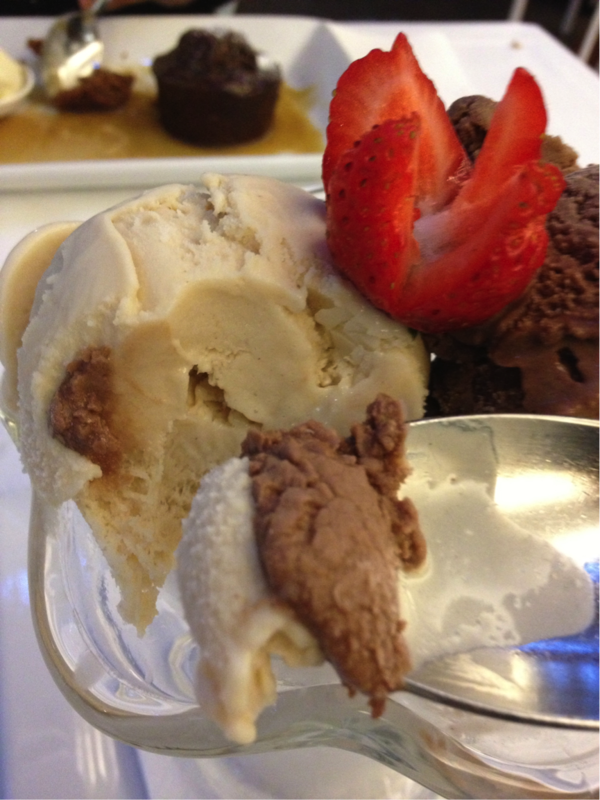 Our fav food joint is a Lebanese one that I had reviewed on my blog. This seems so good that it could become a fav too were it located close by! Nice restaurant! I love Greek food, except for lamb. 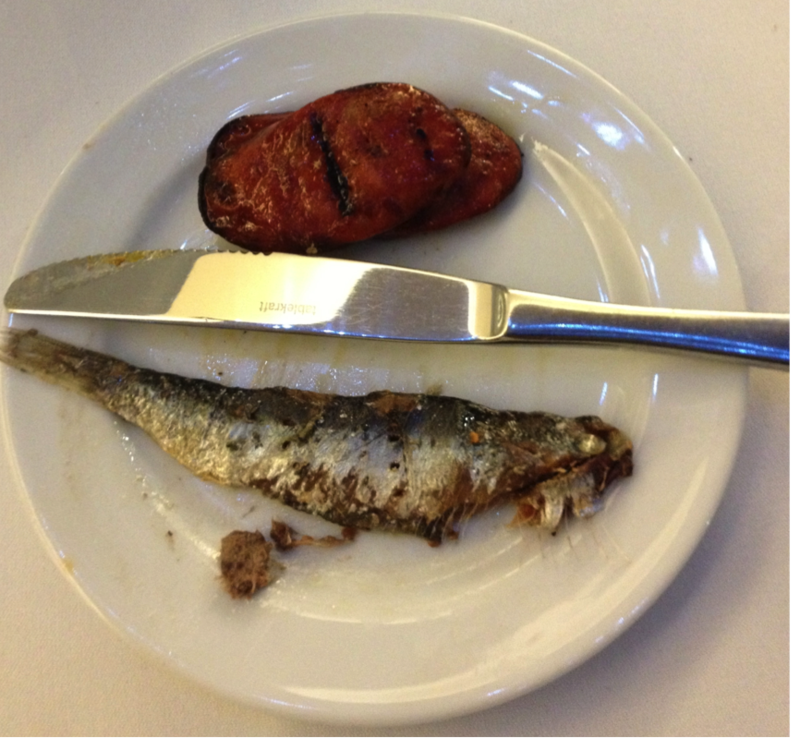 I had some of the best seafood in Greece, and I don’t even like seafood! The dolmades I love..but they did a good job with your veggie plate. Looks really good. My husband is Lebanese. I just love hummus and meatless grape leaves, all the other good things that Greek/Lebanese cooking has to offer. Your meal looks so good. I always hate when I order something and can’t get it! This does look like a lovely restaurant though and I’m drooling over these pictures! Greek food is always a hit with me. 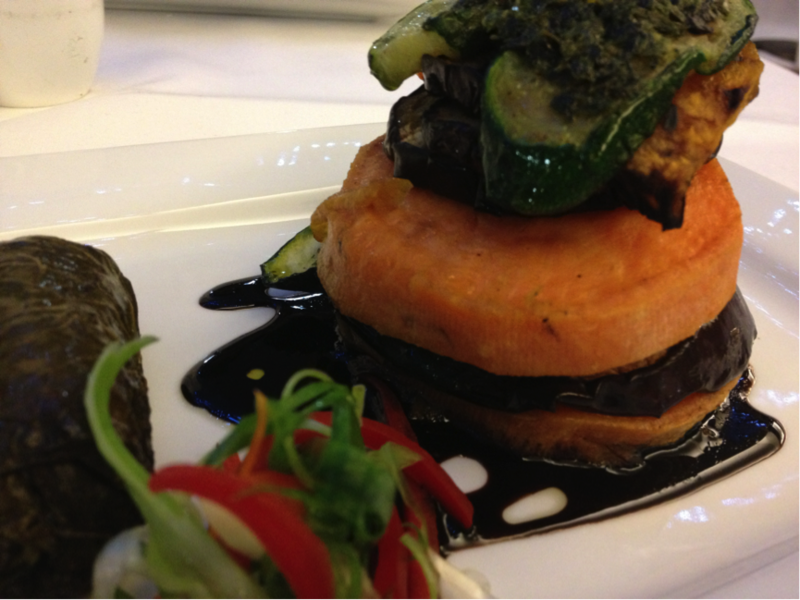 Your veggie stack looks amazing. Fun review! Sounds like a great restaurant. 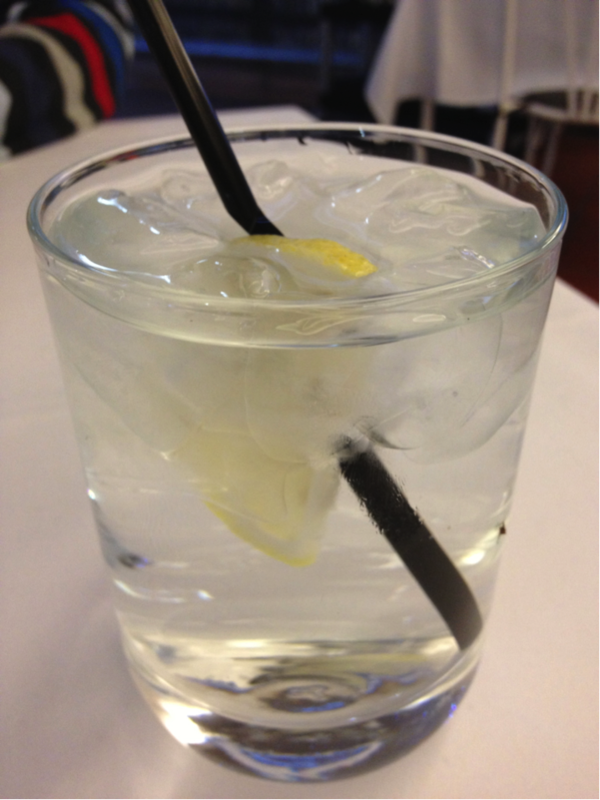 We’re lucky – we live about 3 blocks away from a great Greek restaurant, so we can get our fill whenever we want! I so love Greek food and am with you on the movie, it’s hilarious. That food is making me really hungry, I love all your choices and i want some right now. 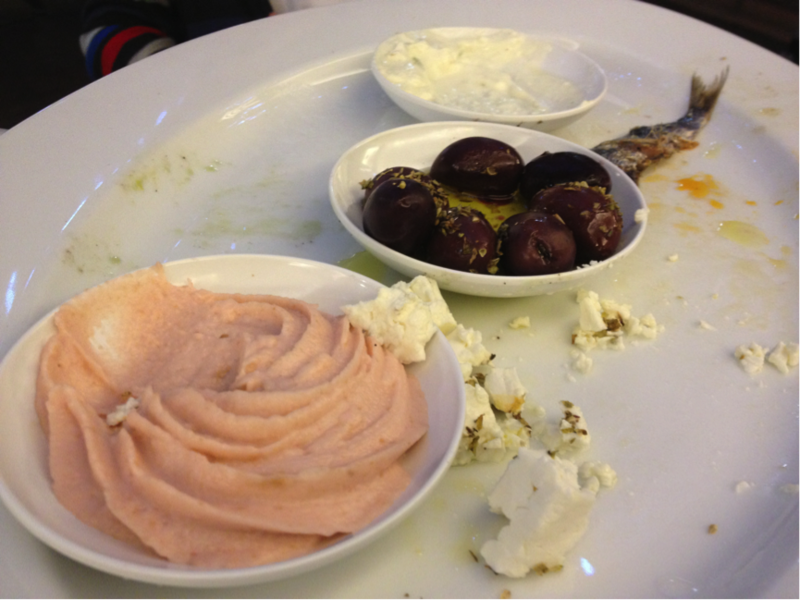 Love Greek cuisine …. and lamb is my favorite meat. 9/10 not bad and I love the way they presented their dishes too. Things can happen at a restaurant and it could be that panna cotta was sold out or it could have gone bad, instead of selling a product that is not good is it better to take it off the menu until new has been done. I wouldn’t have a problem with that .. if that was the only dish on the menu that they couldn’t supply. Brilliant review again and the photos are to eat from. Great job. I would had visit the restaurant on your review. Oh I am so hungry now. 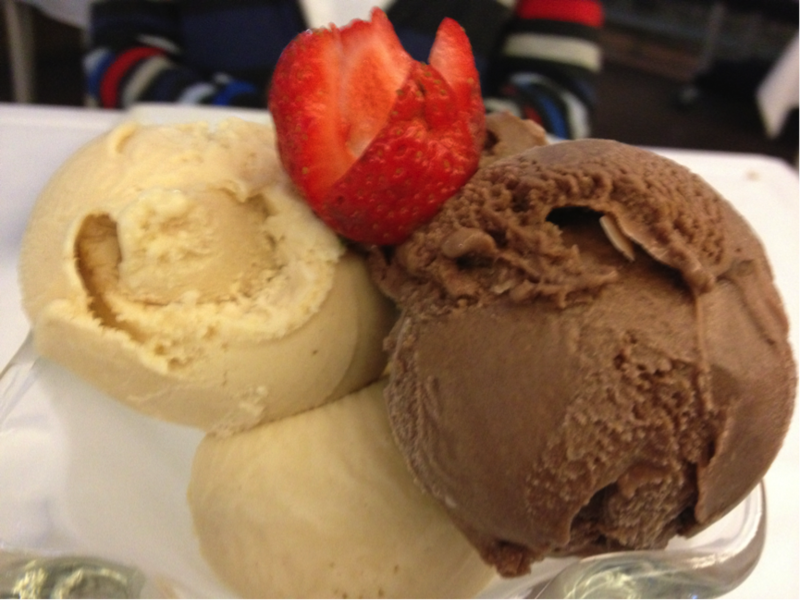 I love gelato; and that grilled haloumi looks divine. I should be going out in a mask honestly! I love Greek food, but then I’m spoiled for choice in terms of ethnic food where I live. XD Those dolmades look heavenly. I love greek food and everything you ordered sounds awesome! YUM! 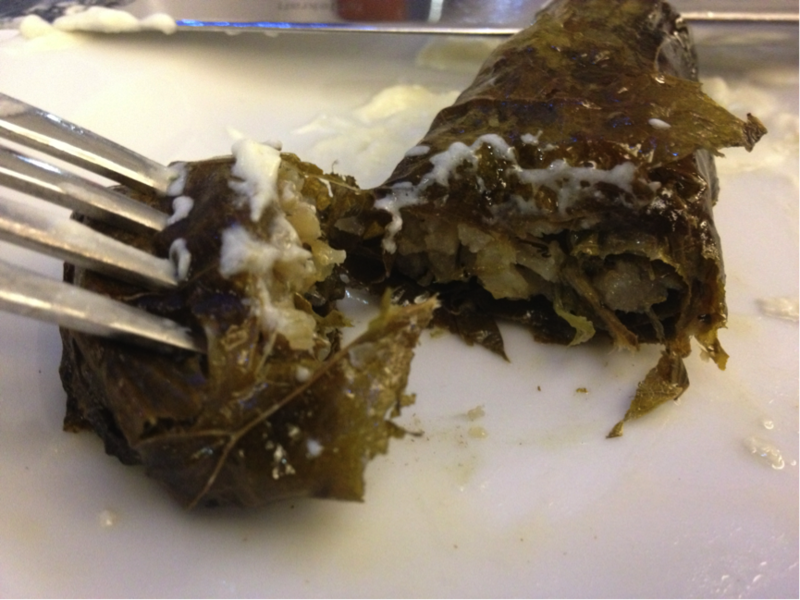 We love Greek food and stuffed grape leaves – dolmades – are some of my favorites! Looks like you had a lovely time with your brother. Just one question: What is a singlet? It’s frustrating when you can’t get the dish you order! Wow Castle Towers has really stepped up its game in terms of ethnic cuisines ! 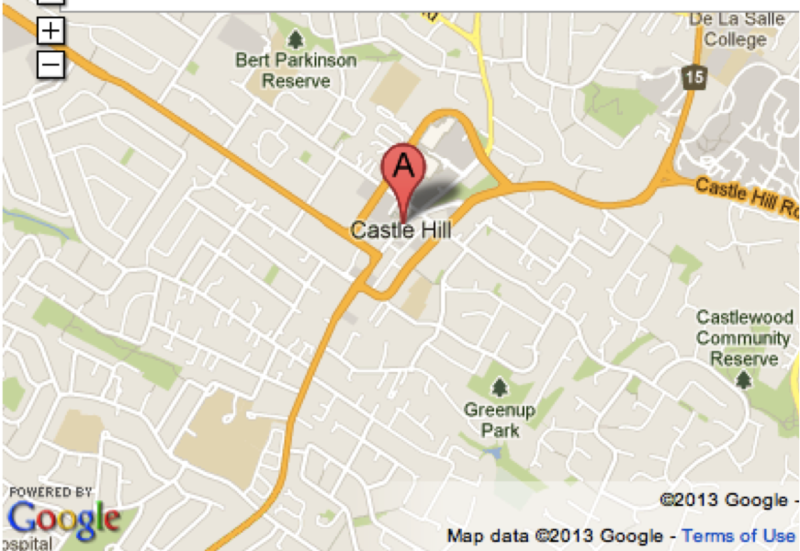 (I used to live there gosh – ten years ago ?). I LOVE Greek cuisine and your meal looked delicious ! What a coincidence! 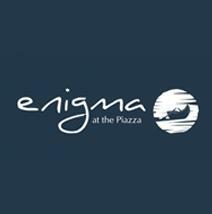 But definitely, the Piazza has upped its class!